This hubble telescope model measures 14 inches long. It was built as a decorative object for an office display. 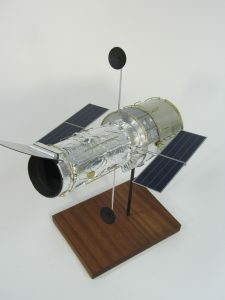 The model was built from photographs and renderings our model makers found online. 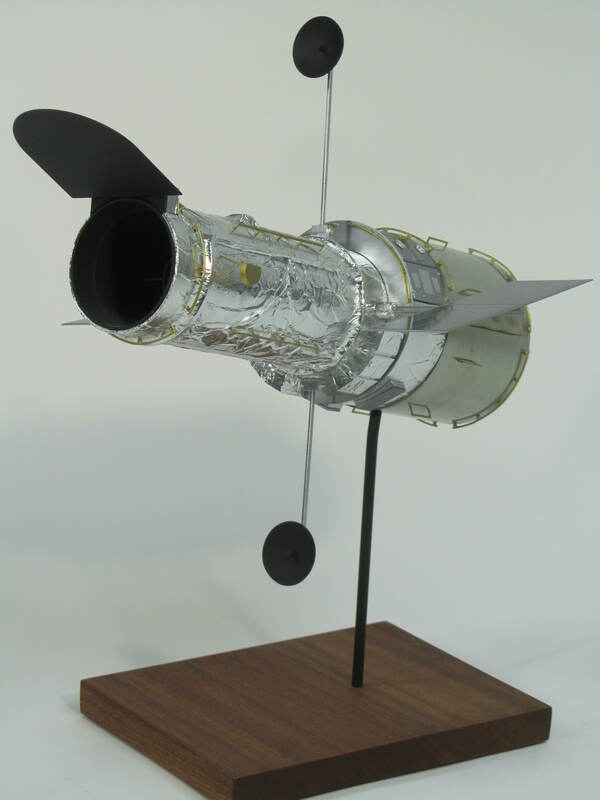 This highly detailed display model was built from aluminum, brass, plastics and foil. 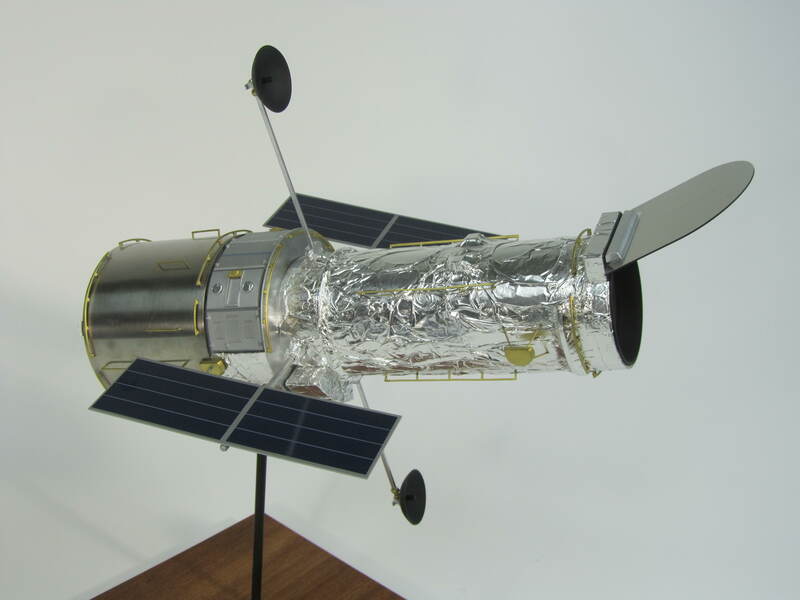 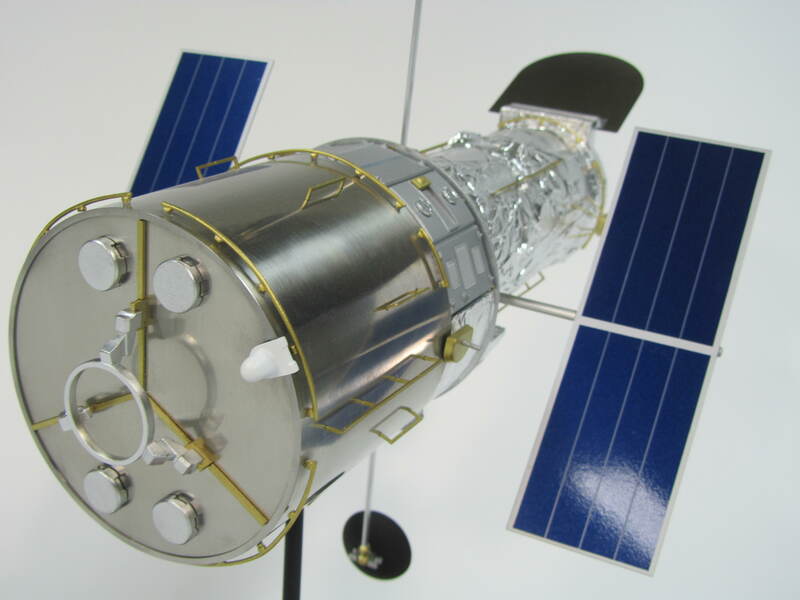 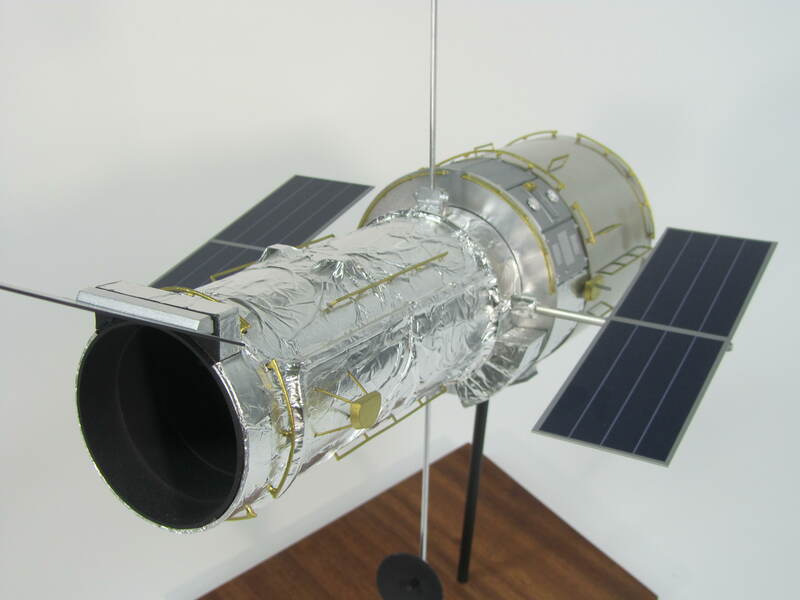 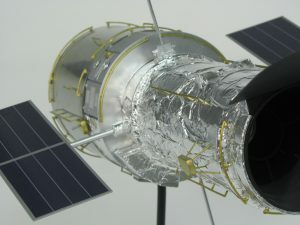 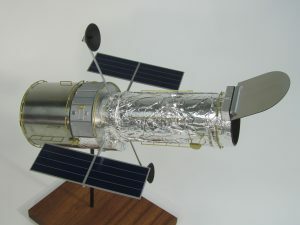 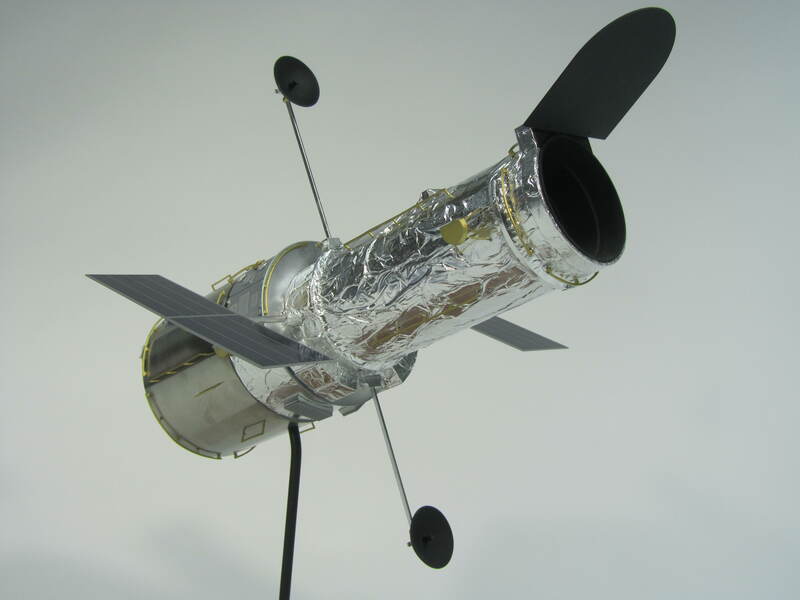 The hubble telescope model was part of a group of three aerospace models commissioned by our client. This project was posted in Aerospace & Satellite Models and tagged aerospace model, hubble telescope model, telescope model. 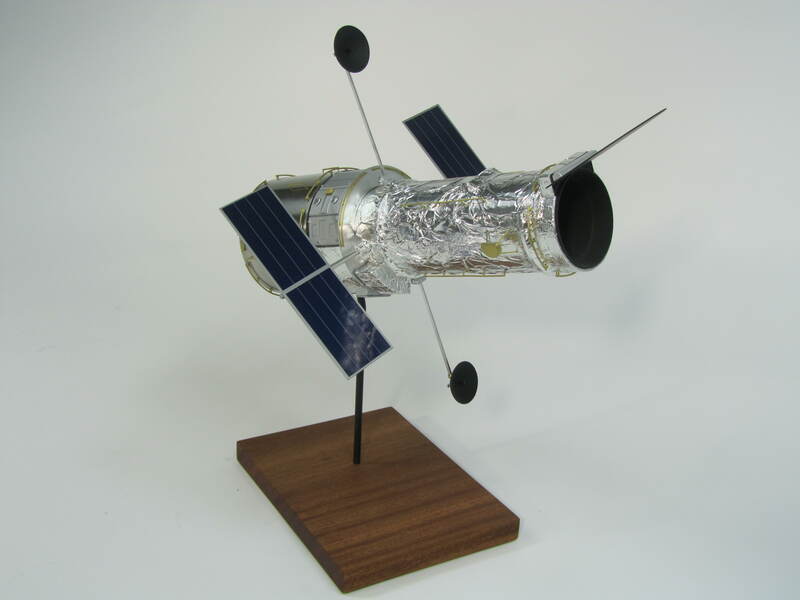 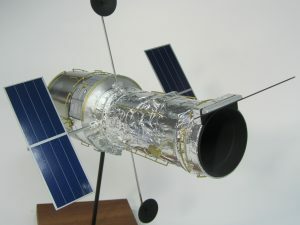 Bookmark this project: Hubble Telescope Model.